A trundle bed is a small bed that can be stored underneath a larger one. 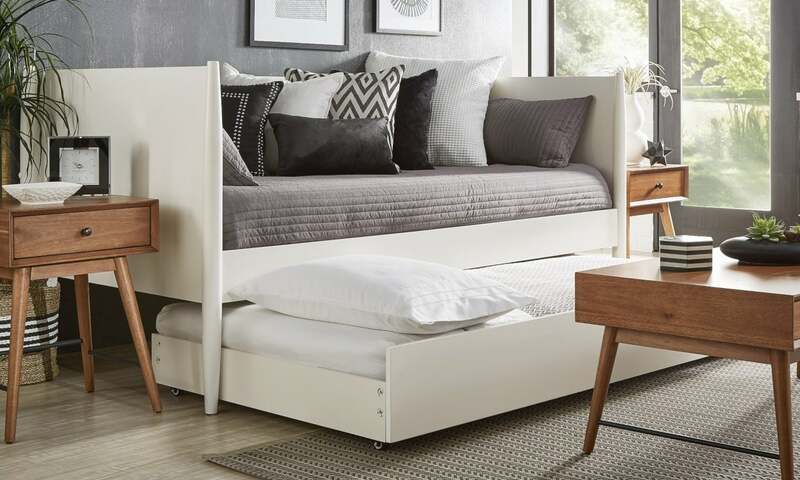 It provides two sleeping spaces in one piece of furniture (much like bunk beds), but takes up no more space than a regular twin sized bed during the day. 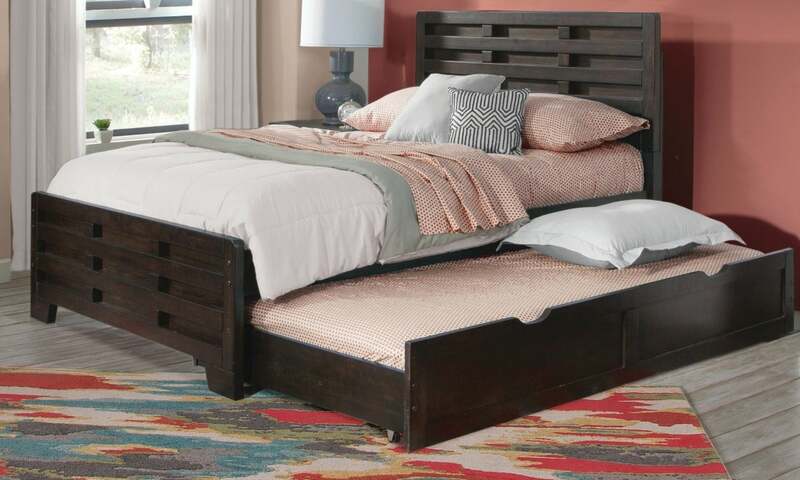 The bottom bed is usually smaller than the other and set on rollers or casters, which makes it easier to move it in and out from underneath the main bed. 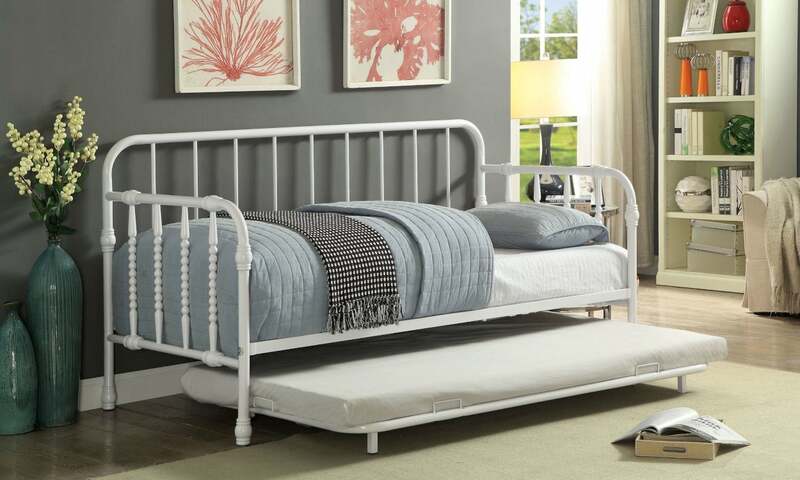 Why should I buy a trundle bed? The main reason for buying a trundle bed is to save space. You are getting two beds that can be stored in the same space that one bed would usually occupy. 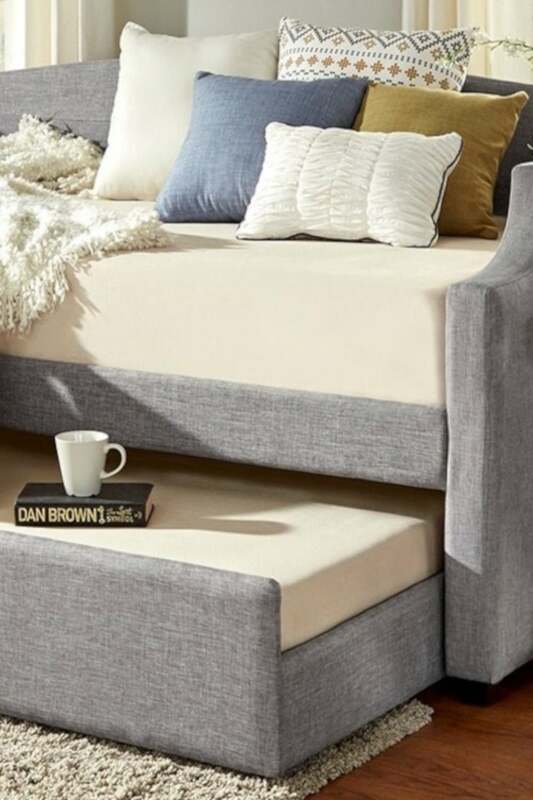 Depending on the style, trundle beds could also serve as daybeds or chaise lounges in the daytime since the size is similar to a small couch. Then, when you require the bed function, you can quickly roll out the second bed. Just add your pillows and bedding and you’re ready to sleep. You can even get trundle bed designs that include drawers to store your bedding and pillows when they are not in use. Who are trundle beds best for? 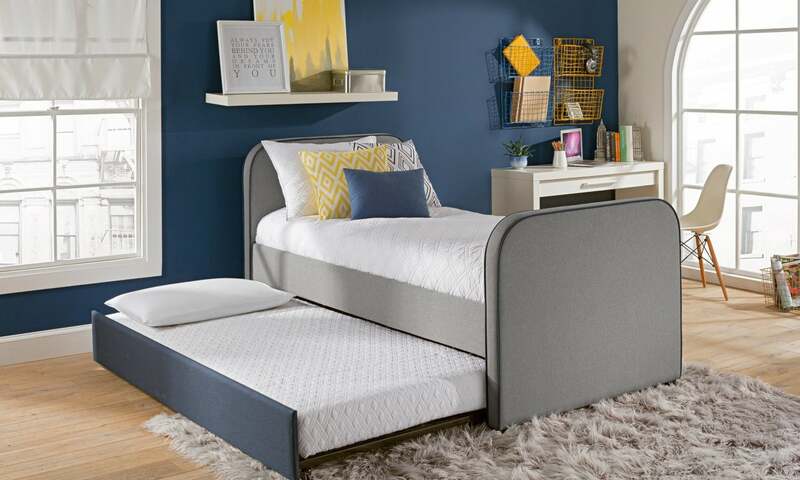 Because trundle beds feature a smaller second bed with a thinner mattress, they are perfectly suited for children, teens, and overnight guests. 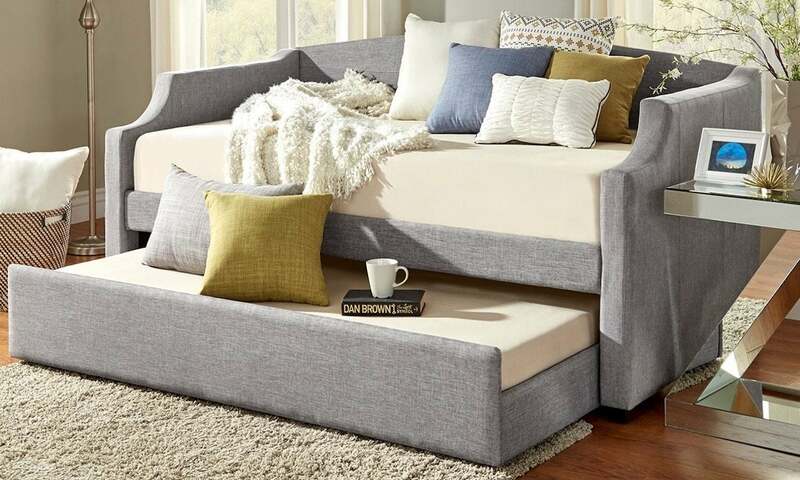 However, being close to the ground and less supportive than a traditional mattress, a trundle bed may not be ideal for the elderly or people with back problems. What are trundle beds made from? Trundle beds can be made of any material that is commonly used to craft a standard bed. They can be made out of wood or metal, and some are even upholstered. The material you choose will depend on your interior decorating style and other furniture in the home. Do trundle beds come in different sizes? 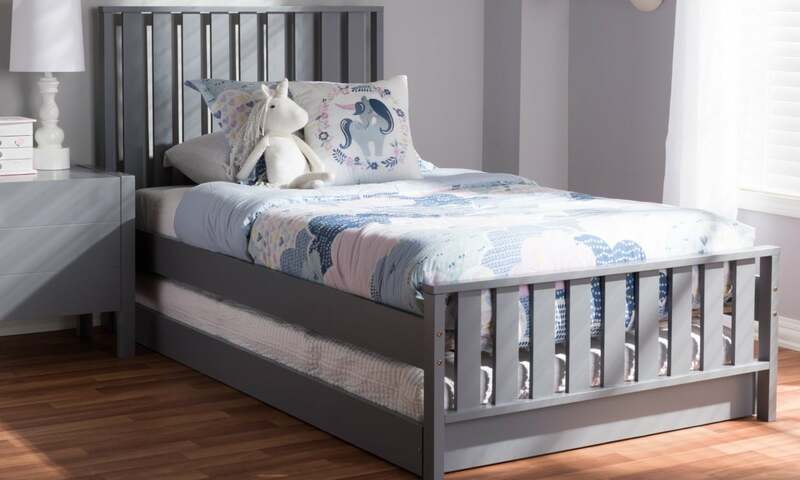 Since trundle beds are designed to make the most of compact spaces, they can come in limited sizes. They are mainly available in full and twin sizes. What kind of mattress should I use with a trundle bed? Generally, the upper mattress can be any kind you prefer, but the lower mattress will need to be around 8 to 10 inches thick. Check each product description before you choose a mattress, as the beds will vary. For a supportive mattress that isn’t as thick as a traditional mattress, memory foam is a good choice because it doesn’t need a box spring.